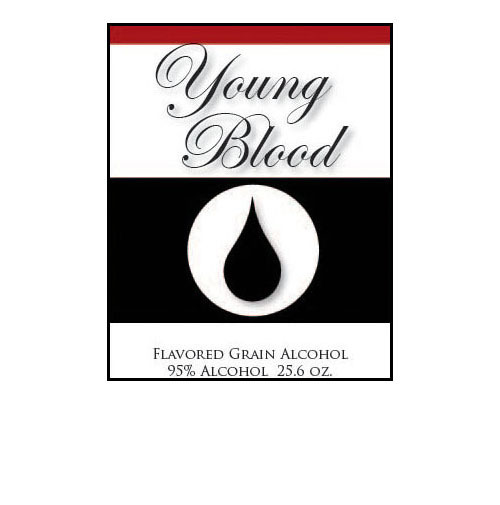 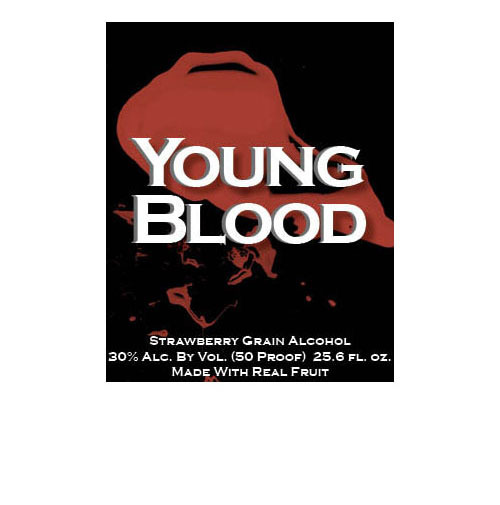 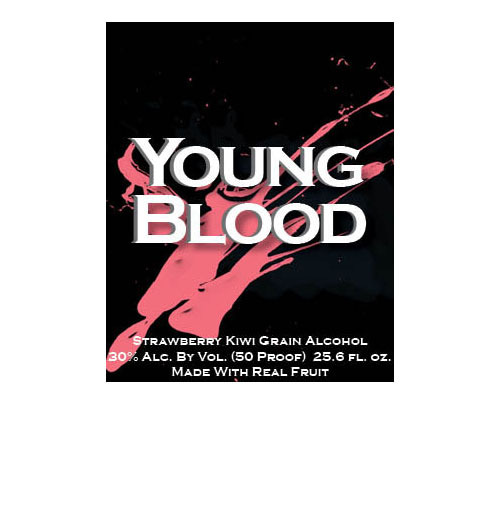 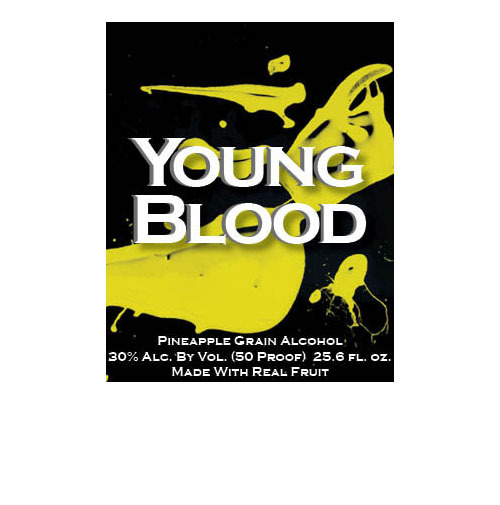 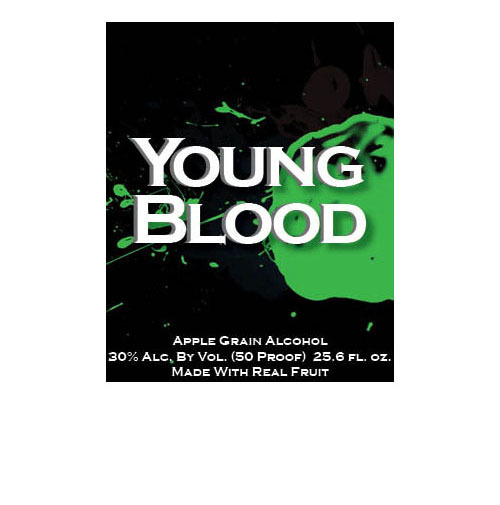 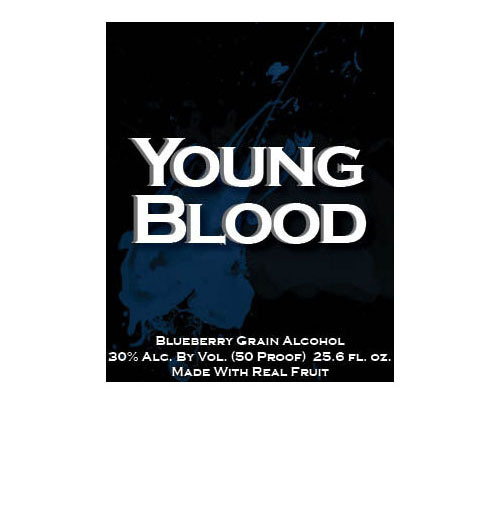 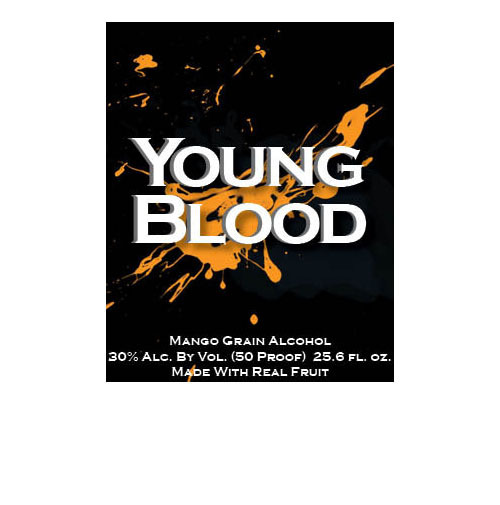 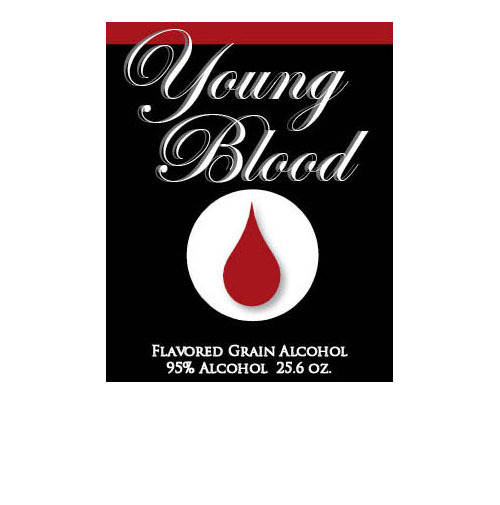 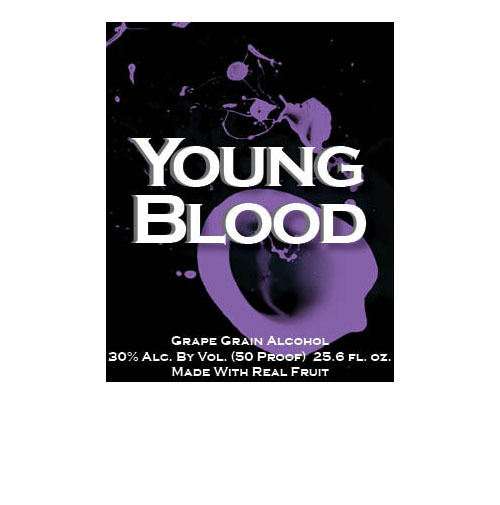 A friend of mine makes his own alcohol called Young Blood. 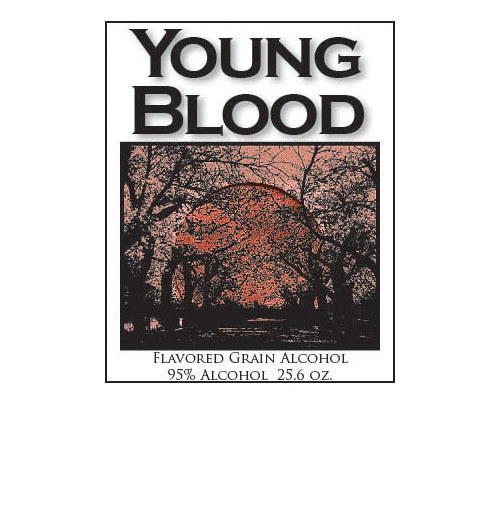 Hoping to expand, he asked me to design him a label. 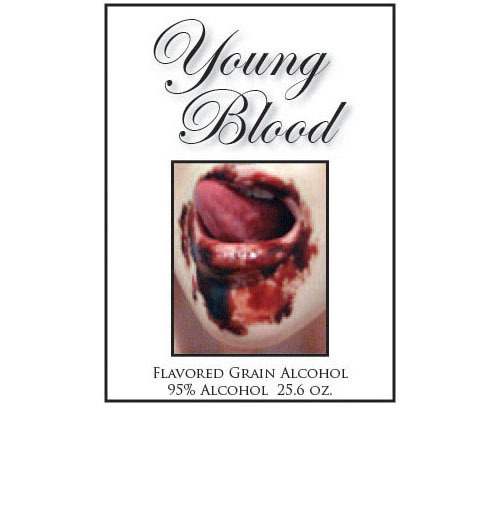 This slideshow outlines the options I gave him to choose from and the final design. 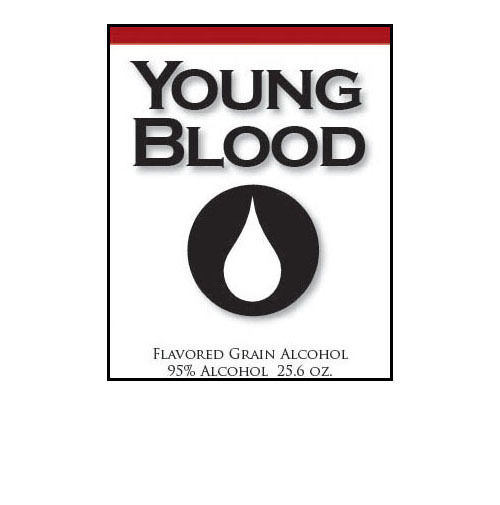 These first few were very simple graphic options in his original color scheme of red, white, and black. 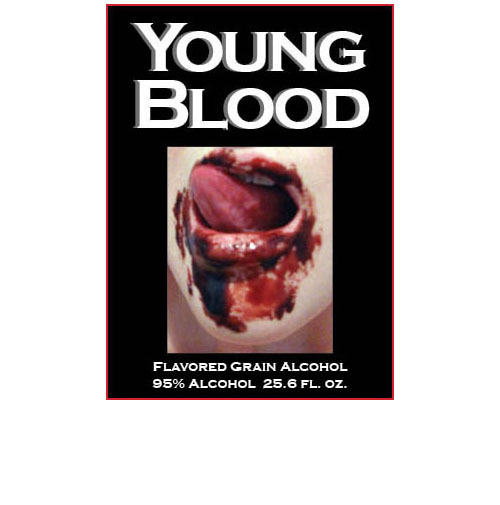 I also created these more radical, bloody options to match his name, in the spirit of the vampire and zombie craze. 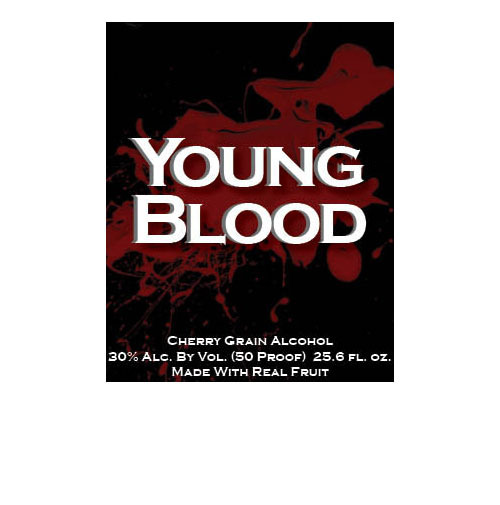 This blood-splattered design, featured here in the cherry label, was the final winning design. 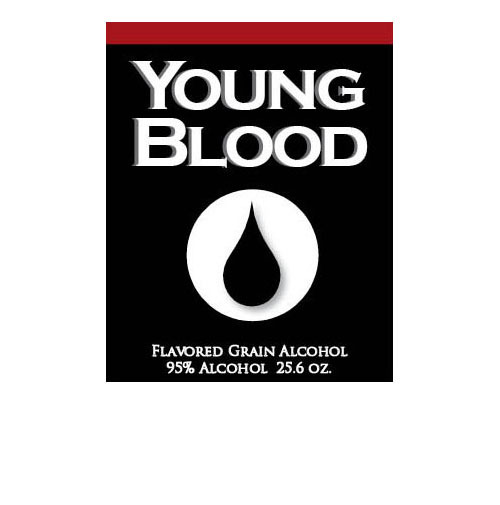 From here, I created colored options for his other flavors.